Qatar Petrochemical Co (QAPCO) will start operating its polyethylene 3 plant in the second quarter of next year, it said on Wednesday,revising a previously expected launch date of end-2011. The estimated total cost of the Polyethylene 3 plant was nearly 2.2 billion riyals ($604 million), QAPCO General Manager Mohammed al-Mulla said in a statement carried by the state news agency QNA. The plant will increase QAPCO’s total production to 720,000 tonnes per year of polyethylene, he said. Mulla had been quoted by QNA as saying in November 2010 that the 310,000-tonne plant was expected to come online by the end of 2011. The company has said it aims to eventually produce 1.2 million tonnes a year of low-density polyethylene, which is used for plastics. 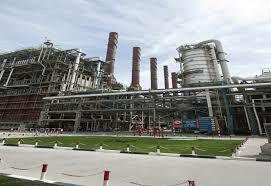 Industries Qatar holds 80 percent of QAPCO, and Total Petrochemicals has a 20 percent stake. OPEC-member Qatar said in October it is working on a 1.2 million tonnes-per-year ethylene cracker with China National Petroleum Corp (CNPC) and Royal Dutch Shell Plc , as part of a joint refining and petrochemical complex in China.